If you are a professional working with people on the autism spectrum, this half-day conference will give you the opportunity to learn more about available training on autism online, independently of your area of knowledge. This event, organised by Autism-Europe, will share the results of the work undertaken by of professionals from Spain, Serbia, Portugal and Belgium in the framework of the Erasmus+ project IPA+, as well as an expert trainer from the UK. Simultaneous translation into English and French will be provided. The IPA+ Training, developed in collaboration with academics, multidisciplinary professionals, parents and self-advocates, aims at addressing the existing gaps in training on autism, taking into account the needs of autistic people and their families, and the demands of society in general. Acknowledging the diversity of people on the autism spectrum, as well as the existing approaches and intervention models in autism offered by support services, IPA+ proposes a new educational strategy to qualify a wide range of professionals to support autistic people in different contexts and spheres of life. 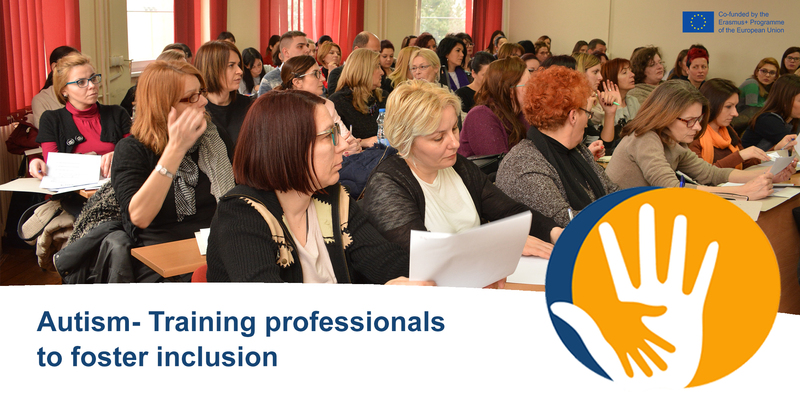 It is hoped that participating in the modules will help professionals to grow in confidence, assisting them in making and implementing self-help strategies that will go some way toward meeting the needs of the autistic people they work with and easing strain associated with their professional activity. Linda is Director at AT-Autism a training and consultancy company based in the UK and is involved in the delivery of SYNERGY a mentorship programme for those supporting children and adults at risk of exclusion from services. Linda has many years experience of working with autistic people and their families and has been instrumental in creating and delivering innovative person centred training courses for parents and families, she also delivers this training to professionals within health, social care, education and the criminal justice system. Linda works both in the UK and internationally and is currently involved in projects in The Scottish Islands, Gibraltar, Scandinavia and Malta. Linda is the co author with Dr Andrea Page of the book ‘Managing Family Meltdown, the low arousal approach and autism’ and numerous journal articles. Linda manages a person centred service for her adult son who has autism and severe and complex needs. AT-Autism, associated member of Autism-Europe, offers training and consultancy in all aspects of autism and related neurodevelopmental conditions to support individuals, families, professionals and organisations in the UK and internationally.